A juicy meatball sub > half of a ham sandwich. Breakfast might be the most important meal of the day, but lunch is definitely the most exciting. 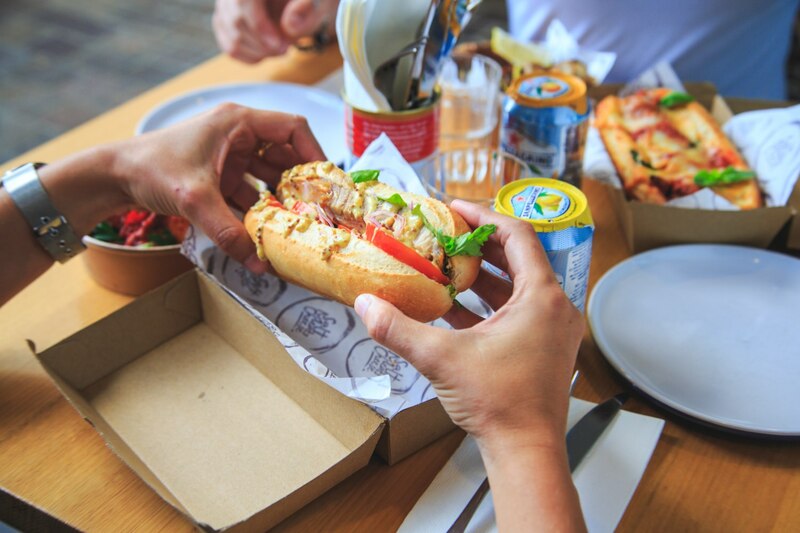 It’s the meal that makes you want to sneak out for a bite at 8:30am and lets you take some well-earned downtime from work, but if you’re stuck with a soggy salad or a questionable servo sandwich, it’s bound to strip the serotonin from what should be the highlight of your day. Knowing that you’re just going to shove that noise to the back of the fridge and buy fresh lunch anyway, you might as well make tracks for the best of the best – Salt Meats Cheese Gasworks. Salt Meats Cheese has just released new lunch specials that will turn your midday fuel from blah into hoorah, with both dine-in and grab ’n’ go menus set to have you swooning! If you have time to sit and sip, the new dine-in deal includes your choice of pasta, pizza or salad with a glass of house wine or beer (ooft), meaning you could be kicking back with a cheeky pinot grigio over a bowl of gnocchi al pesto with homemade potato gnocchi, fresh basil pesto and stracciatella cheese for a lean $20. Lord yes! If you need to head back to the office, take something that’ll make the team jealous with you. 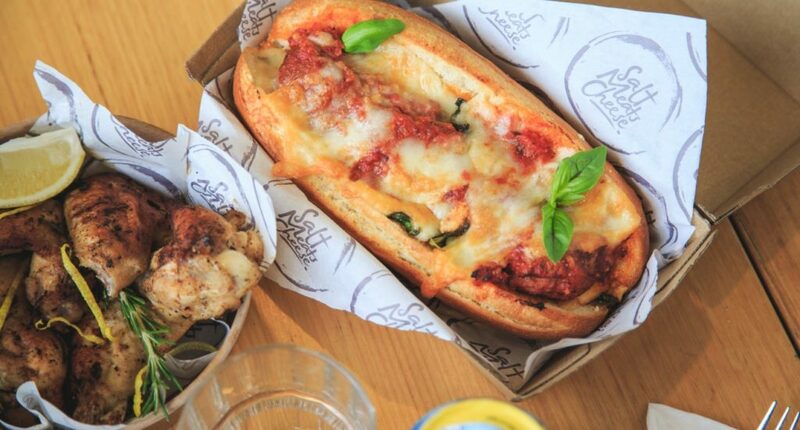 Salt Meats Cheese’s grab ’n’ go menu features a juicy meatball sub, slick porchetta sub and two different types of chicken wings all for a tasty $13.50 each. Go one better and add chips or salad for $3 more (you know you can’t say no to chips). The deals are available Monday to Friday at Salt Meats Cheese Gasworks, giving you plenty of time to work your way through the menu.